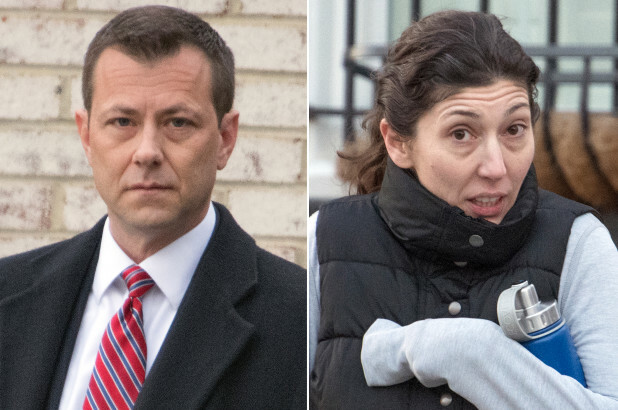 I find it amazing that Peter Strzok and Lisa Page, those Trump-hating, spouse-cheating FBI lovebirds, haven’t been fired yet — even though they greatly compromised the probe into Hillary Clinton’s mishandling of her government emails. What’s even more astounding is that a source tells me that neither has lost security clearance despite being demoted. I’m told that clearances are routinely pulled even when someone is caught having an extramarital affair. The FBI didn’t return calls for comment.